Some nifty facts, and very cool visuals, about St. George, as well as some common phrases that came from Shakespeare plays, from soprano/Royal Conservatoire of Scotland (RCS) student Charlotte Hoather. Thanks, Charlotte! Happy St. George’s Day. 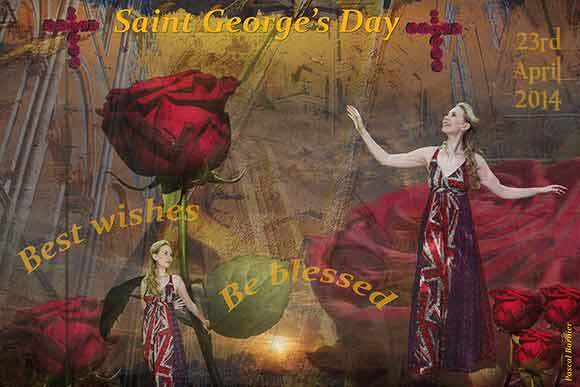 My Mum asked if I was putting a photo together for St George’s Day for Facebook as I had the other patron saint’s days. I thought that I must as it is England’s national day, I knew our symbol was the red rose but I’m not sure why. We never celebrated it at school and I must admit that I knew very little about what should be a celebration of all things “English”. I knew more about America’s Independence Day, 4th July, and other celebrated nation days such as St Patricks Day, Ireland, St Andrew’s Day, Scotland and St David’s Day, Wales. 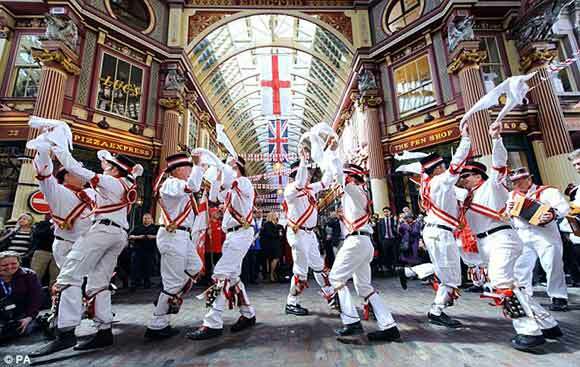 It seems that St George’s day usually passes by in England without so much as a whimper.